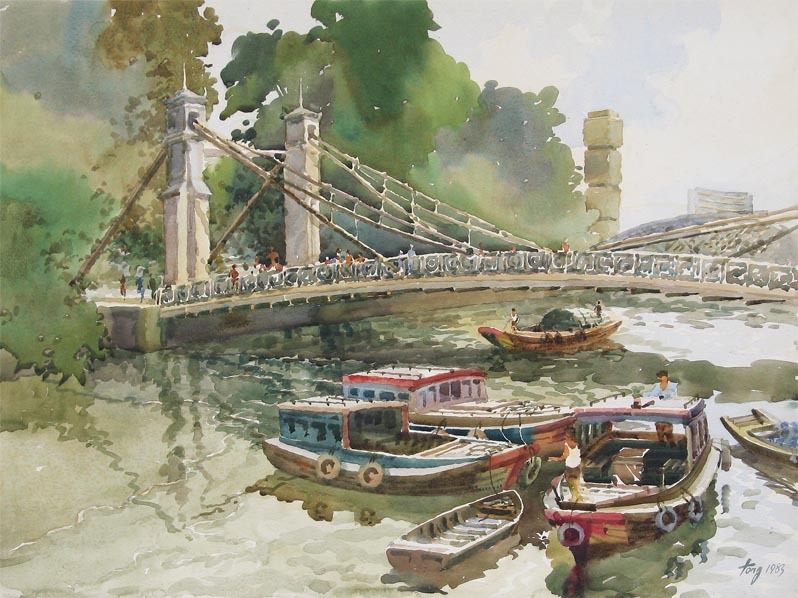 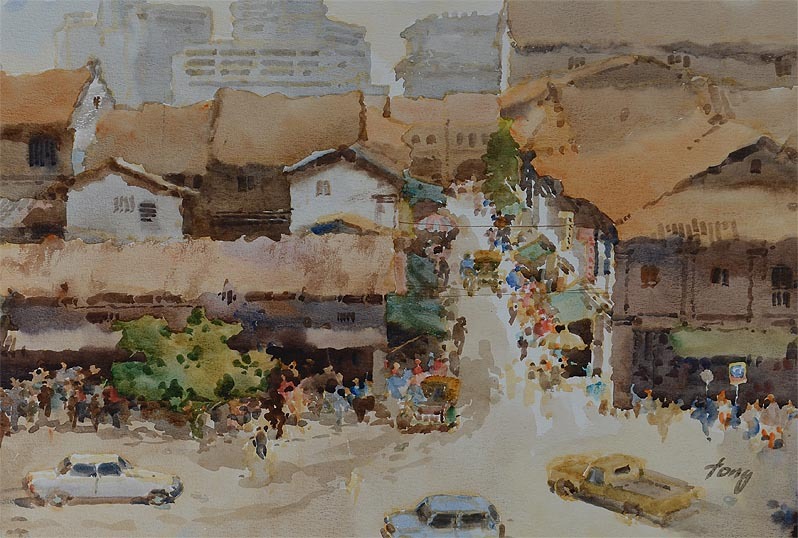 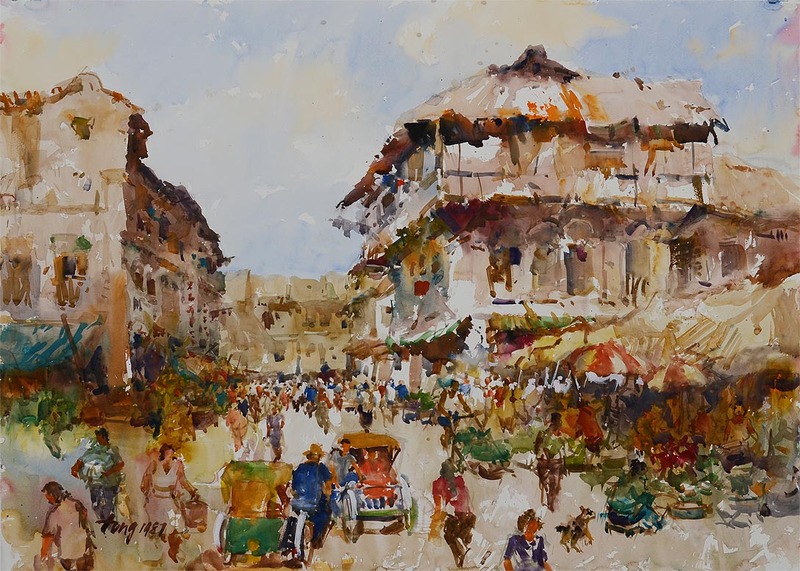 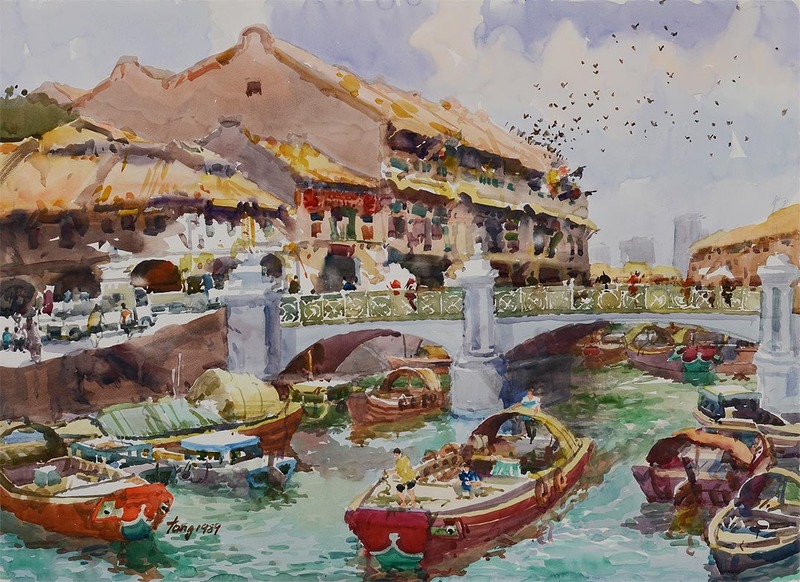 Singaporean Artist Tong Chin Sye is an avid traveller who sketches and paints on location. 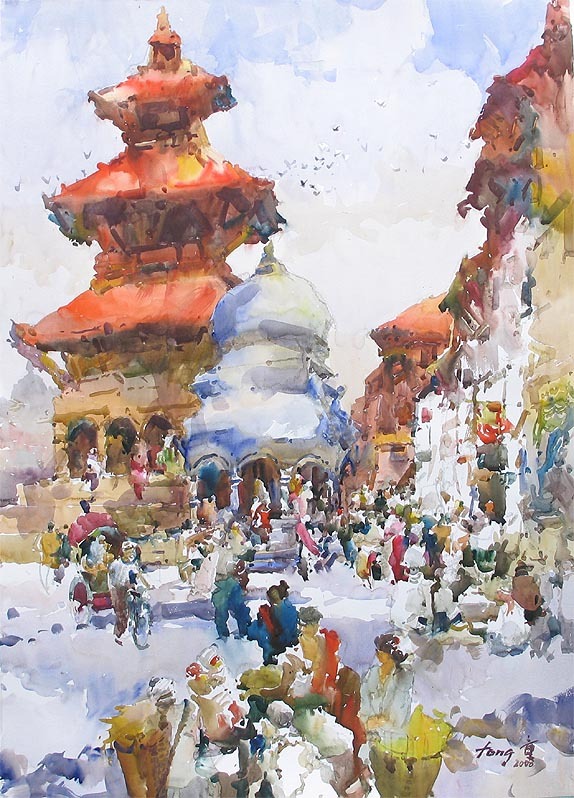 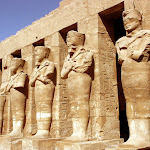 He is inspired by architectural and cultural subject matters. 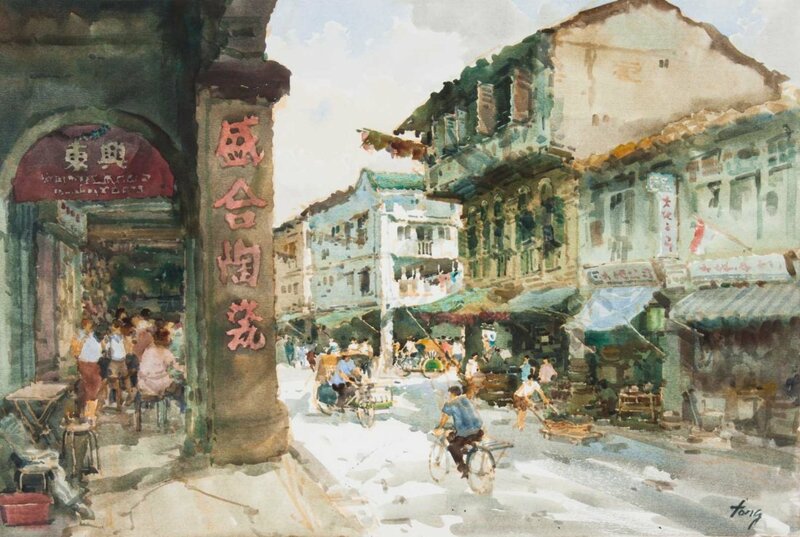 Tong’s painting technique is distinctive as his oils and watercolours naturally blend in the beauty of Chinese Calligraphy. 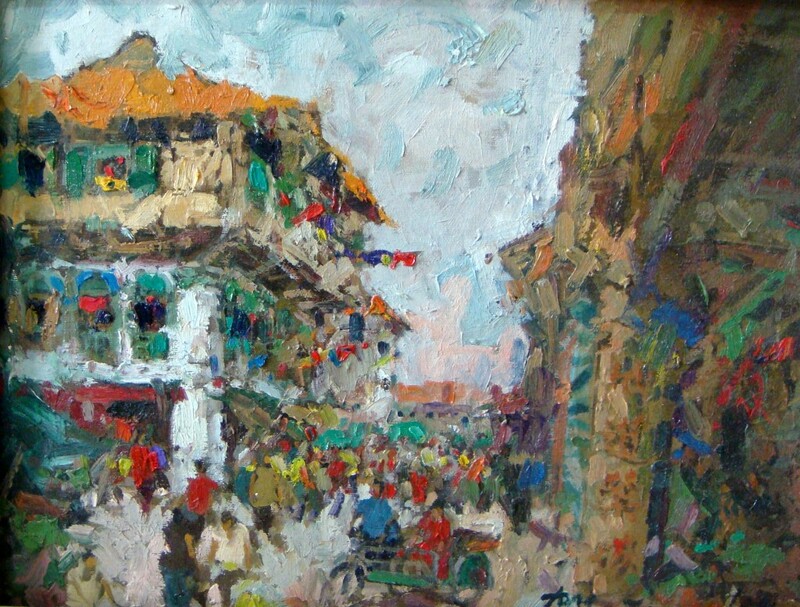 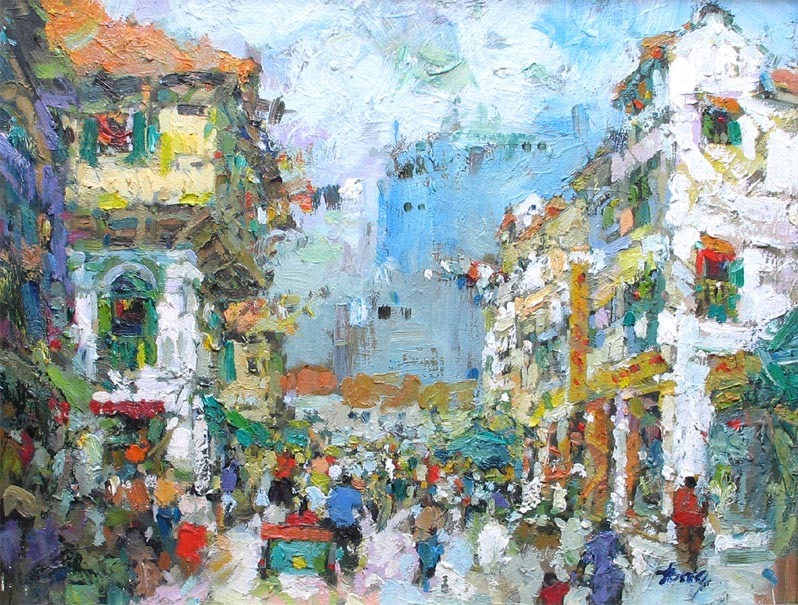 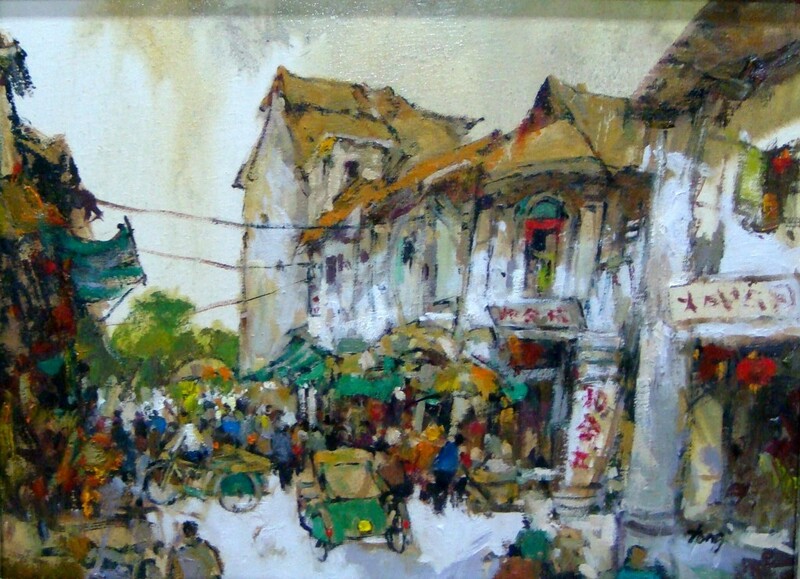 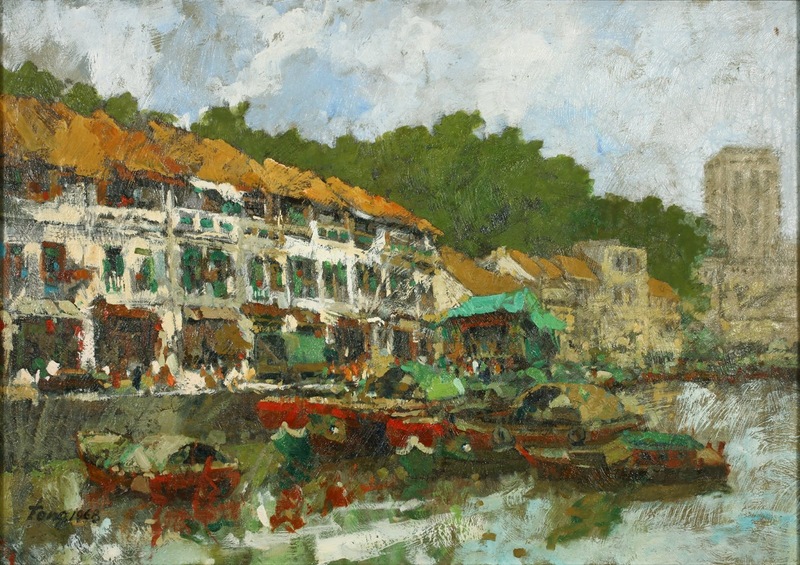 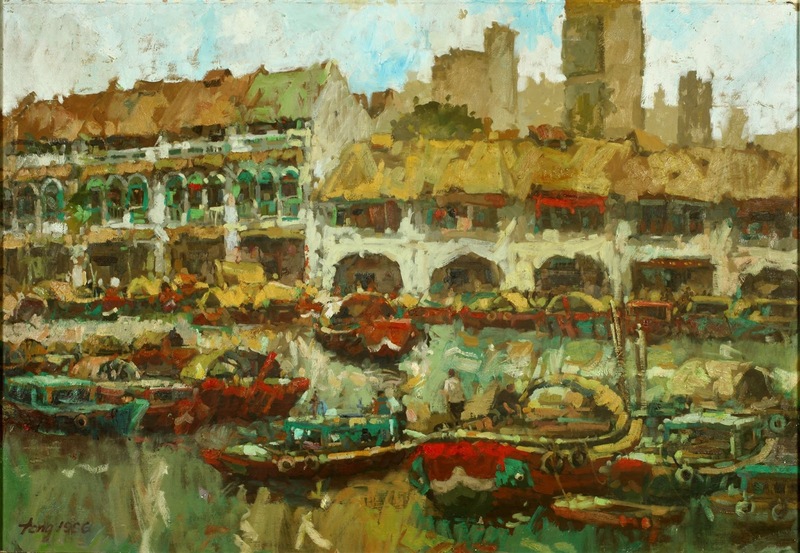 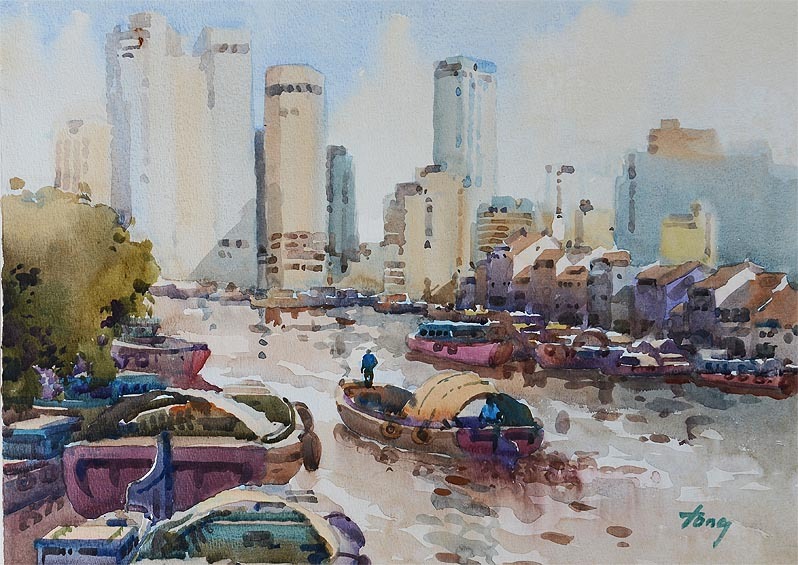 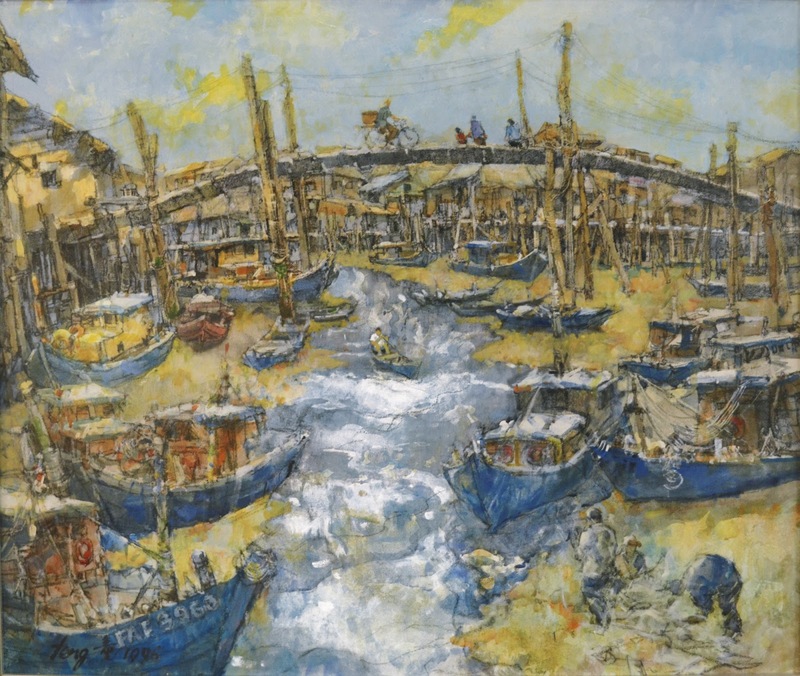 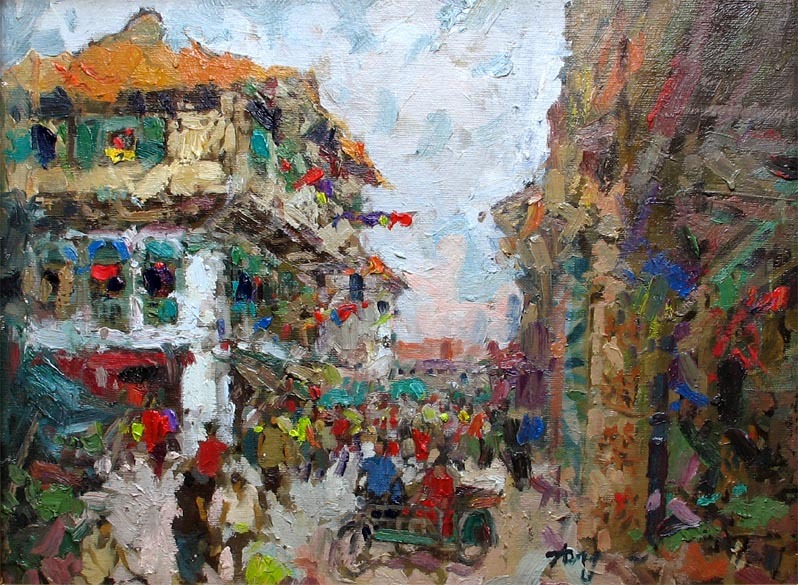 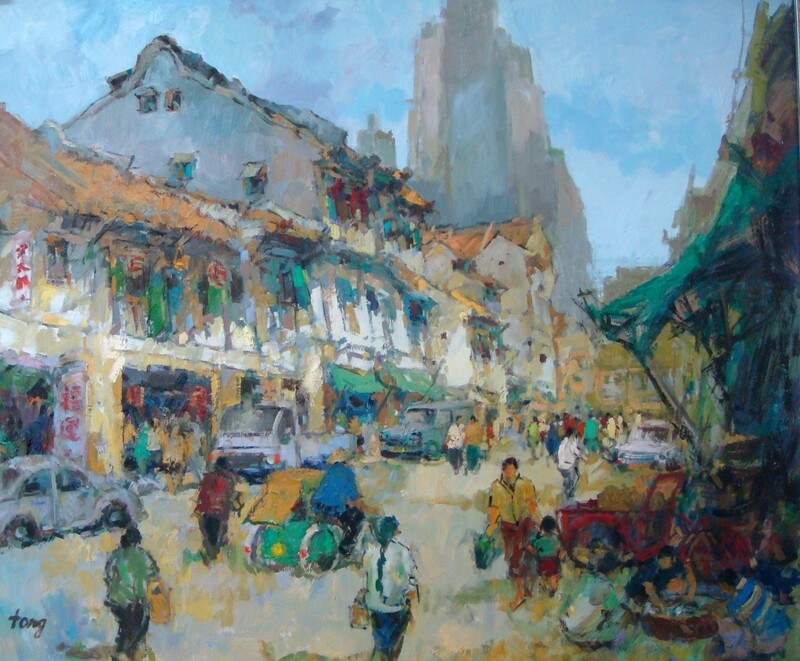 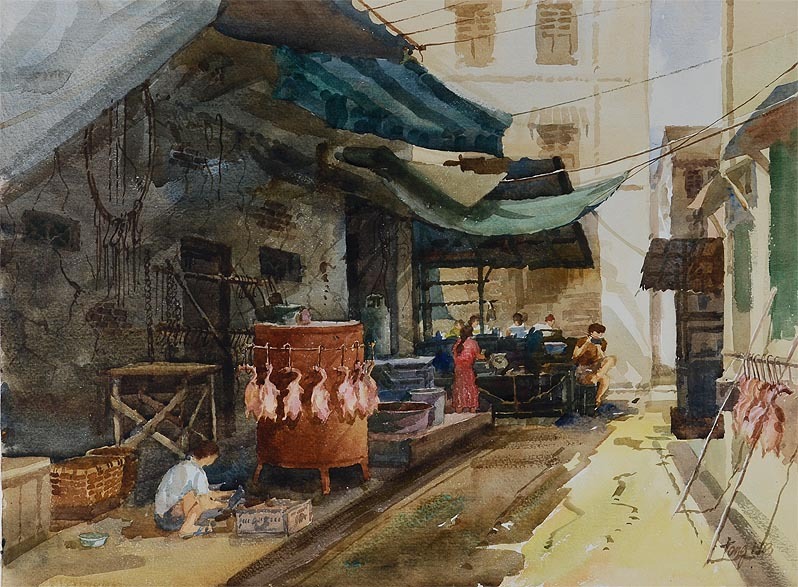 Painting the rapidly changing cityscapes and street scenes of Singapore continues to be his passion. 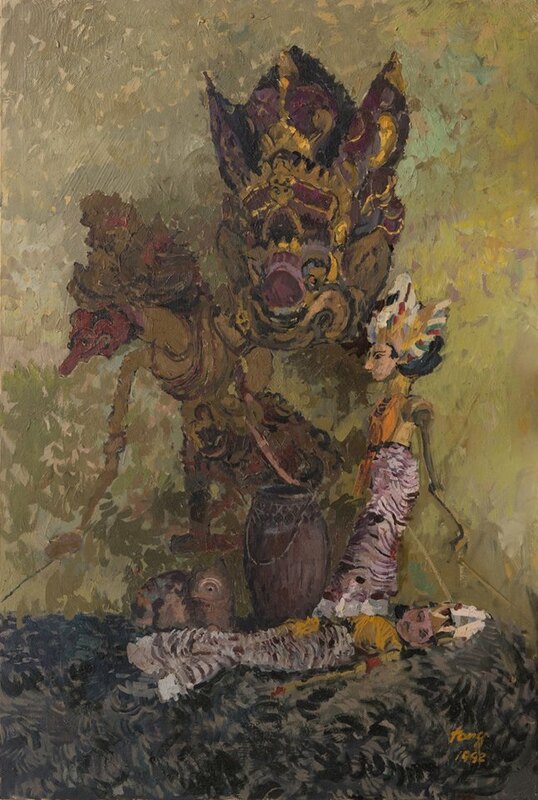 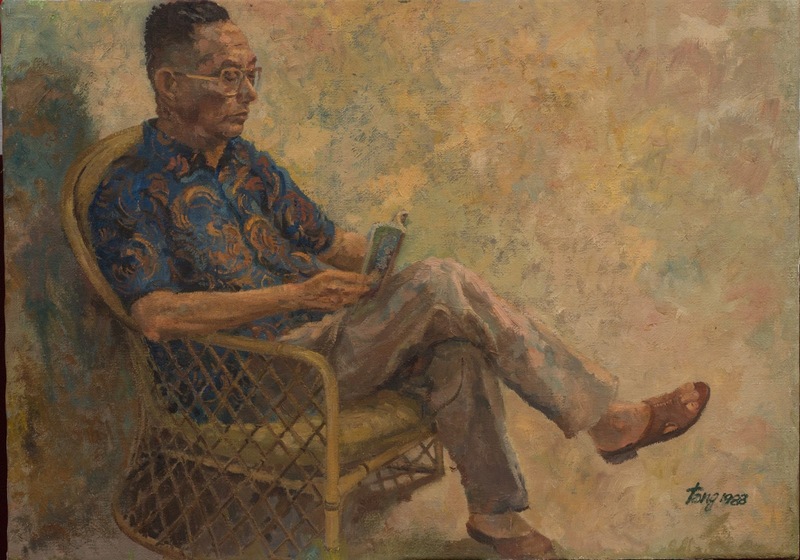 Born in 1939, Tong Chin Sye is a renowned Singaporean multimedia artist and part-time lecturer in Western Art at the Nanyang Academy of Fine Arts, Singapore. 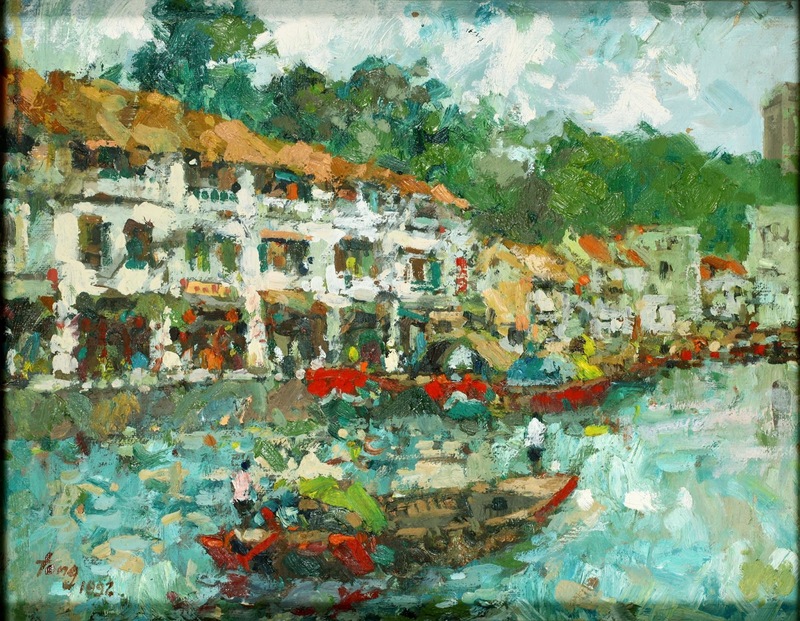 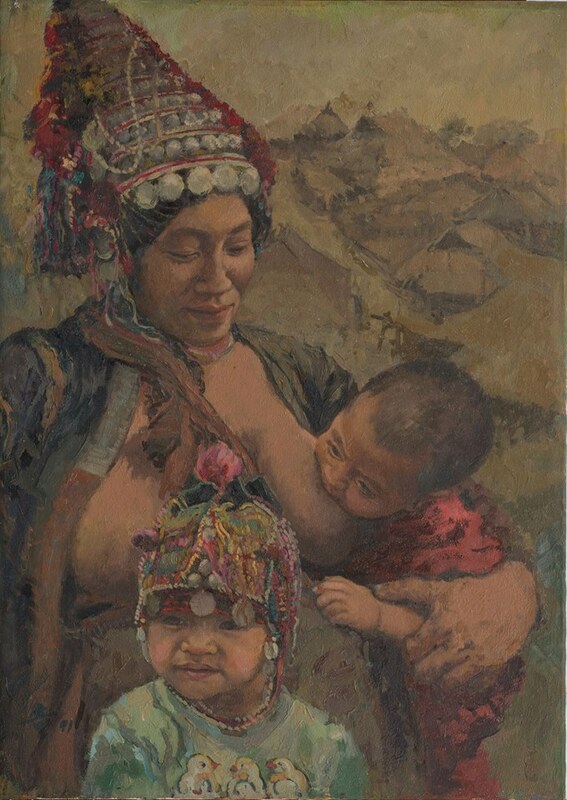 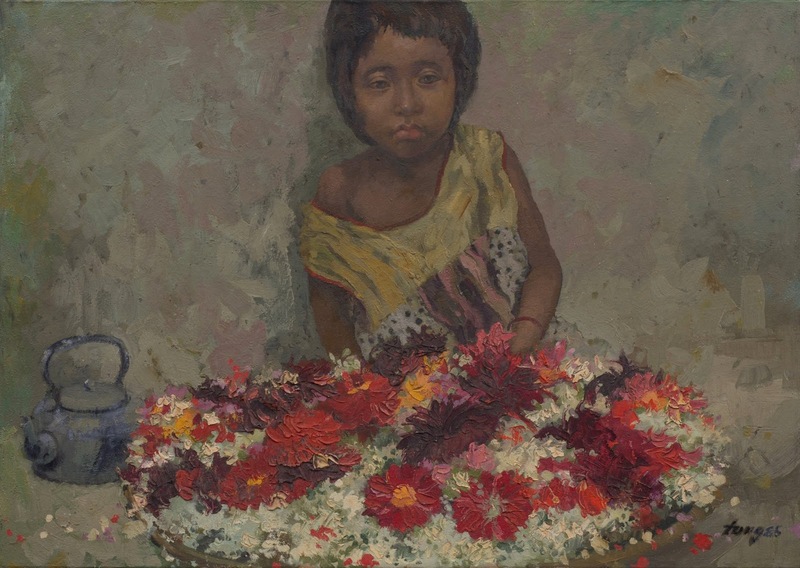 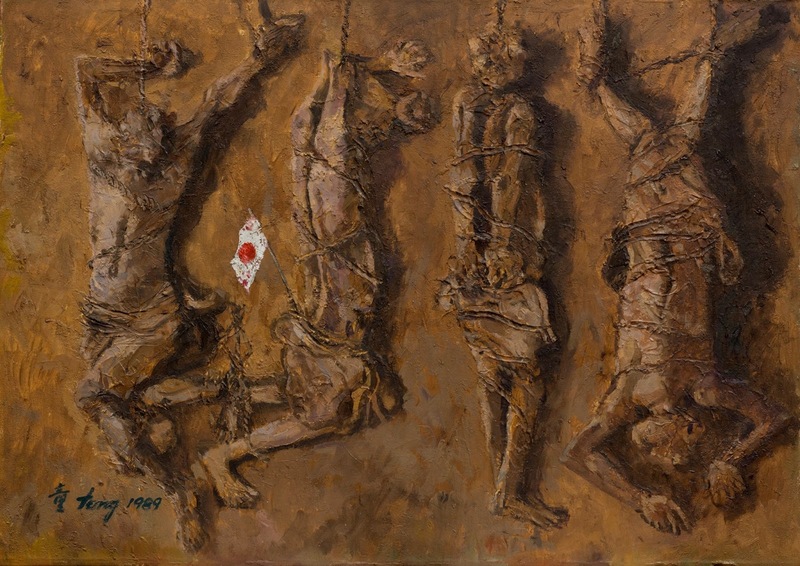 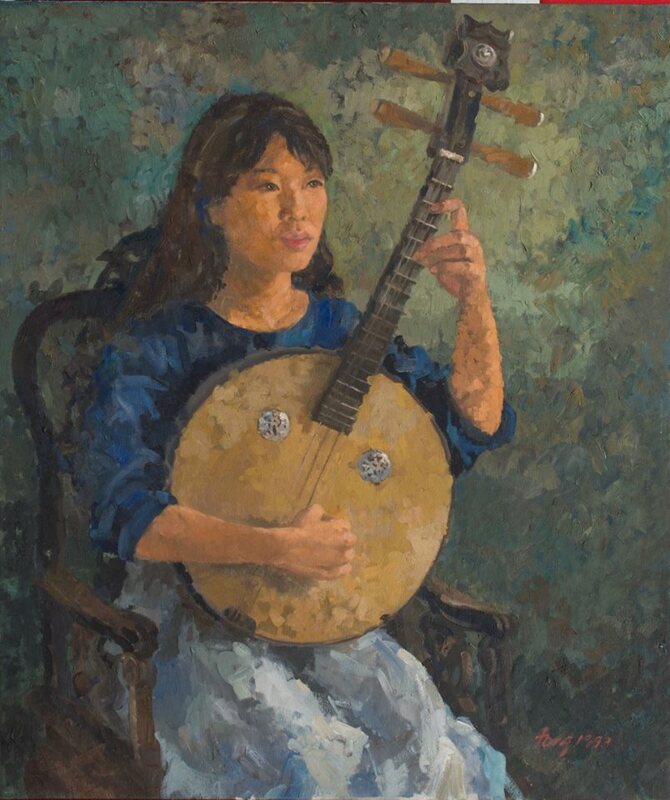 In 1987, Tong won first prize in the PSA Art Competition held in Singapore. 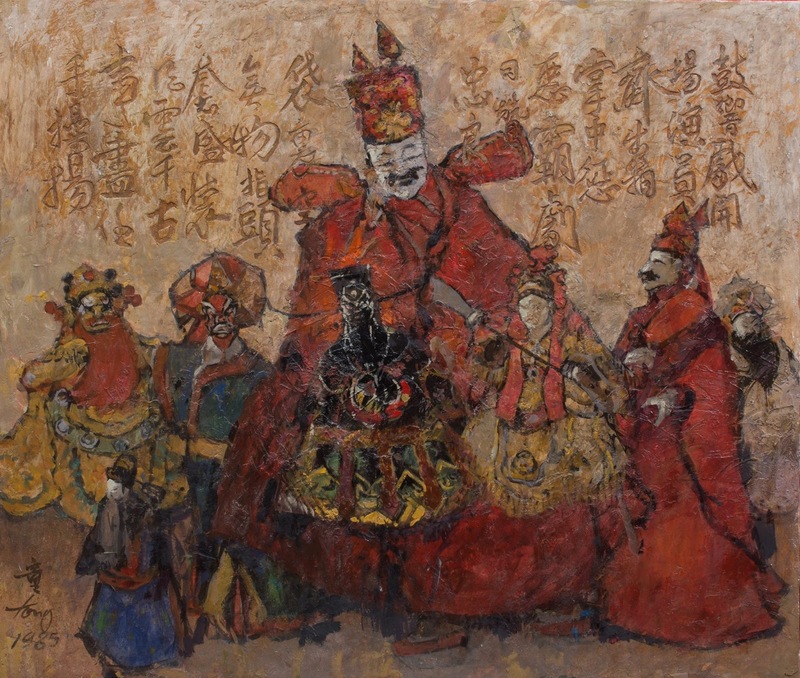 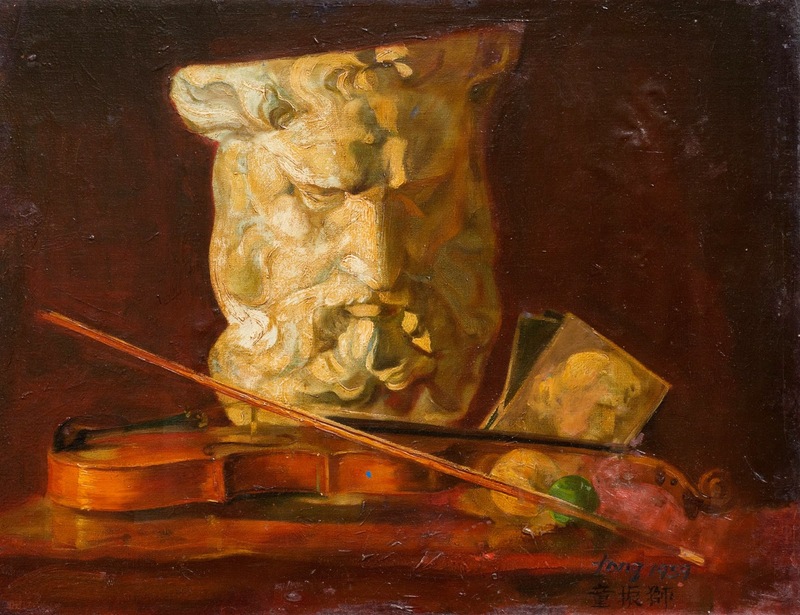 In 1992 he also won the Tan Tsze Chor Art Award. 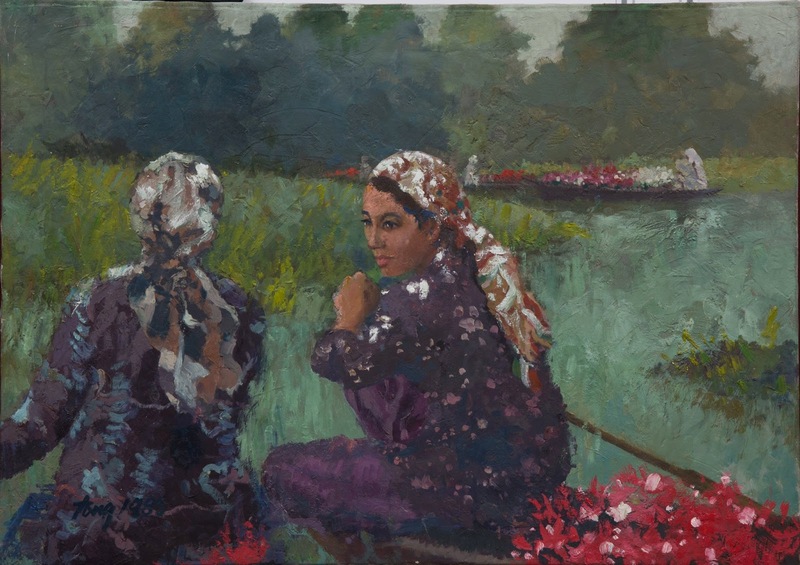 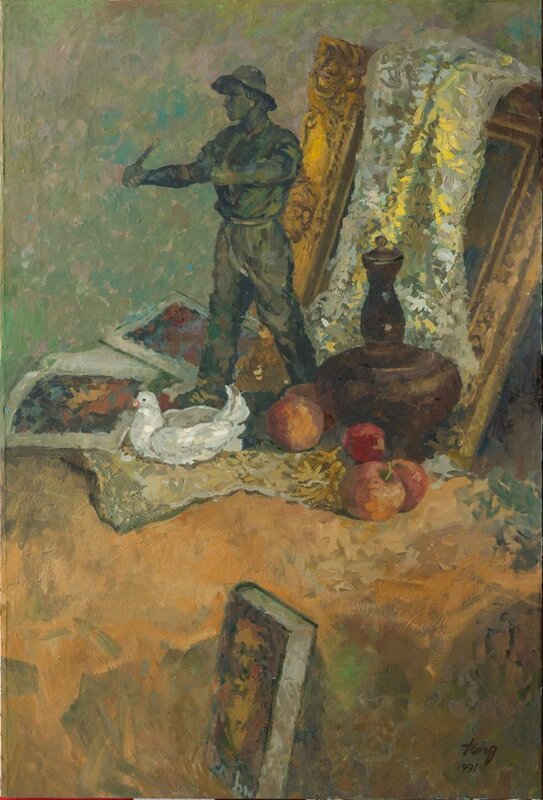 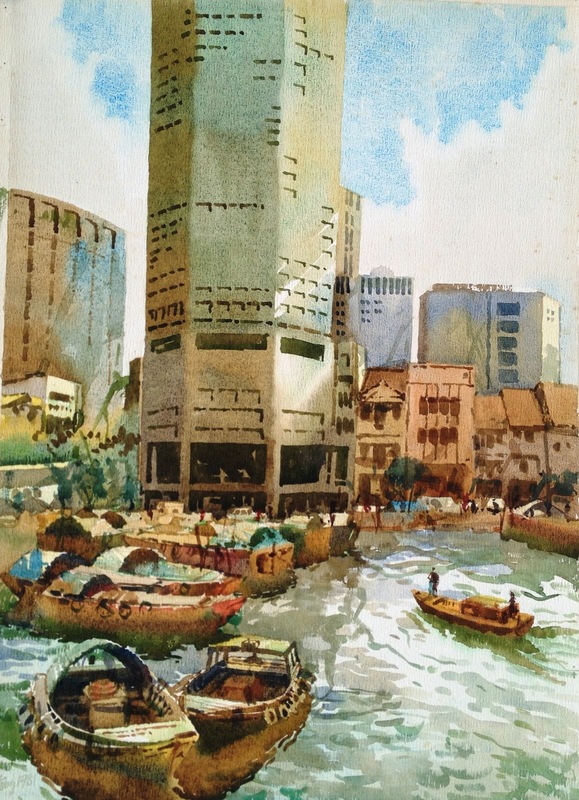 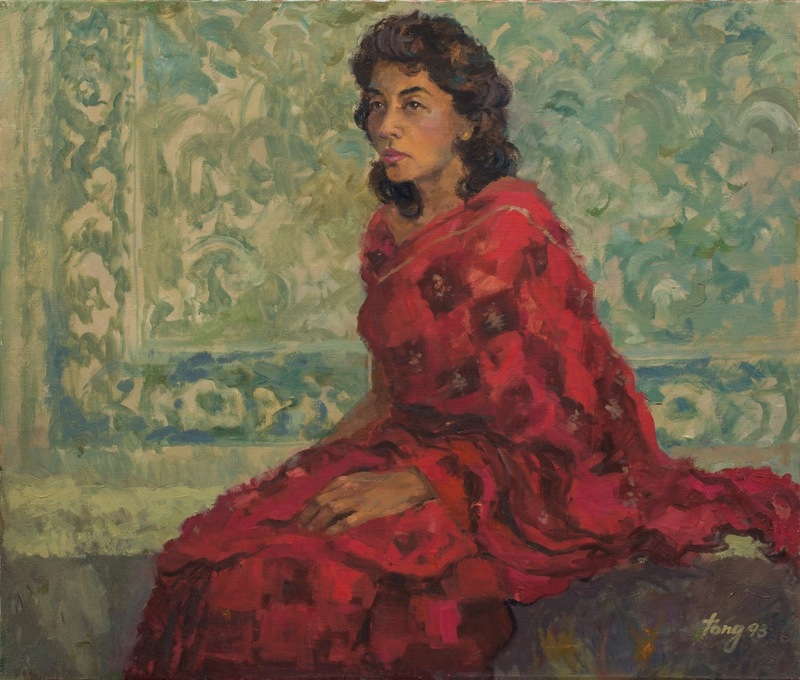 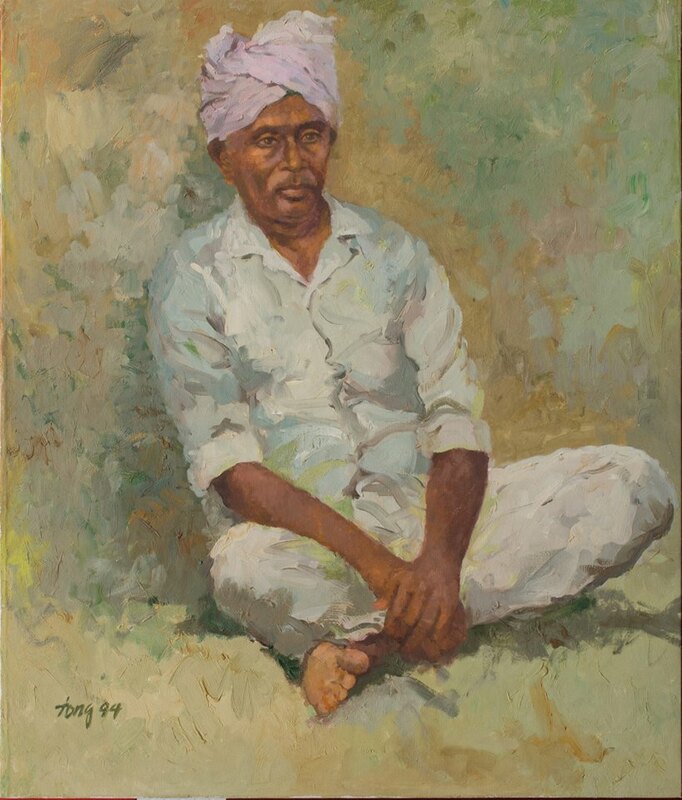 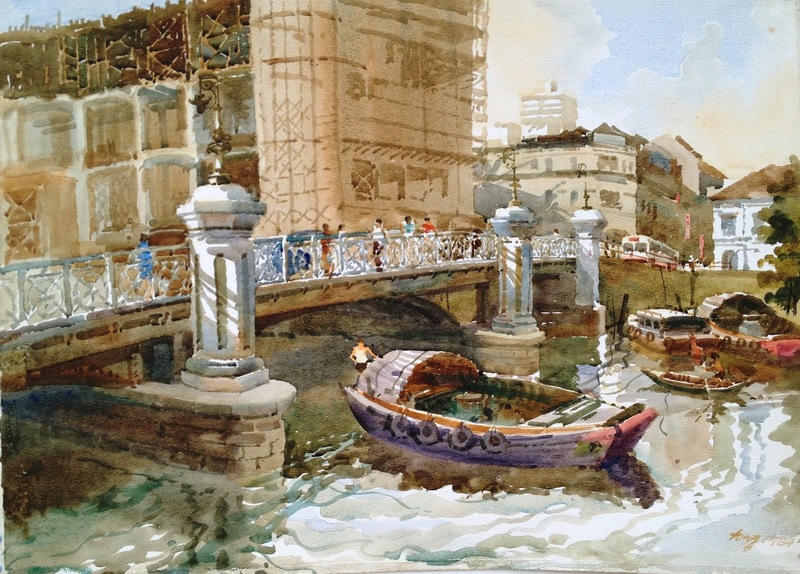 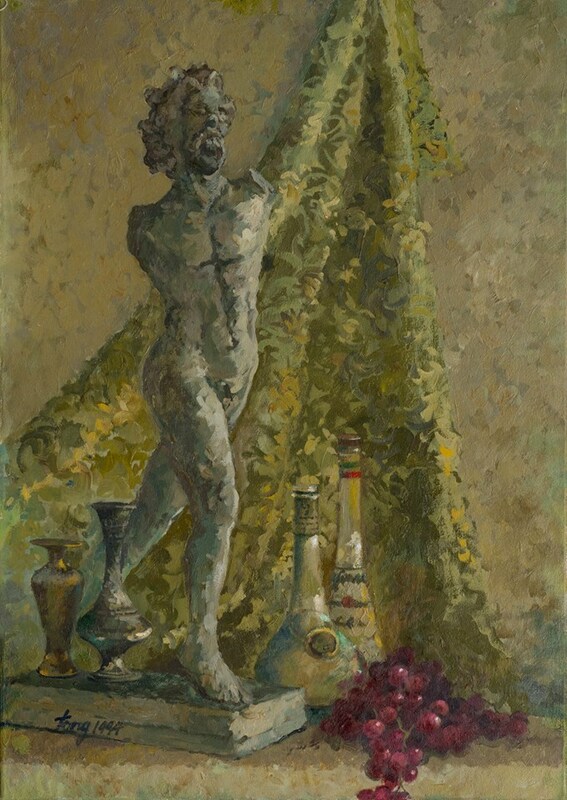 He was invited in 1998 to represent Singapore at the Flemish Watercolour Days in Zaventum, Europe. 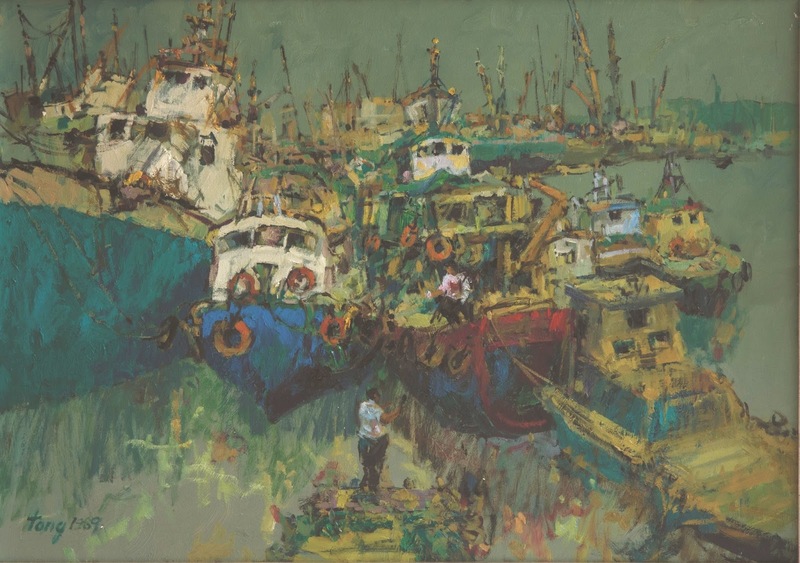 He has held solo and group exhibitions both locally and abroad. 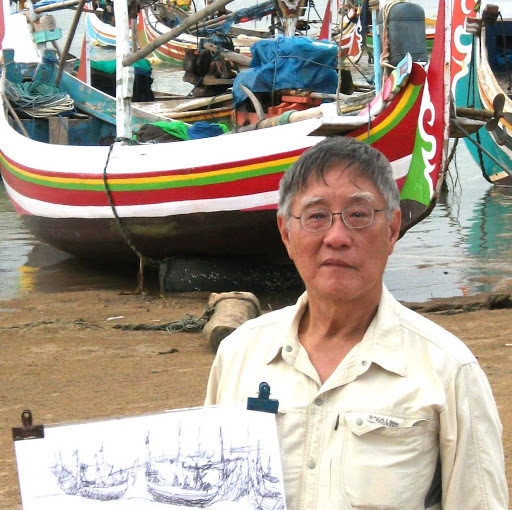 A frequent traveler, Tong, with an open mind, continues to be inspired by architectural and cultural subject matters. 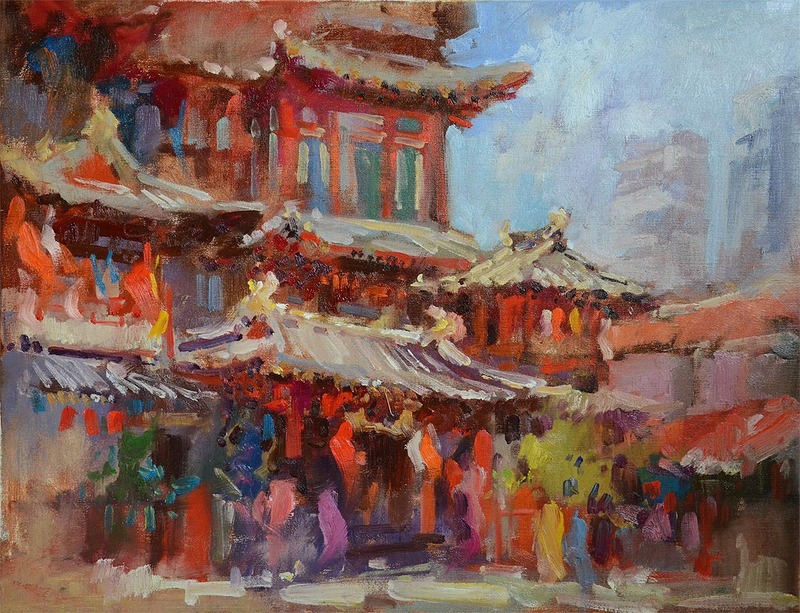 Each new subject matter, be it a figures or an architectural structure, is well translated into his new spectrum of colors. 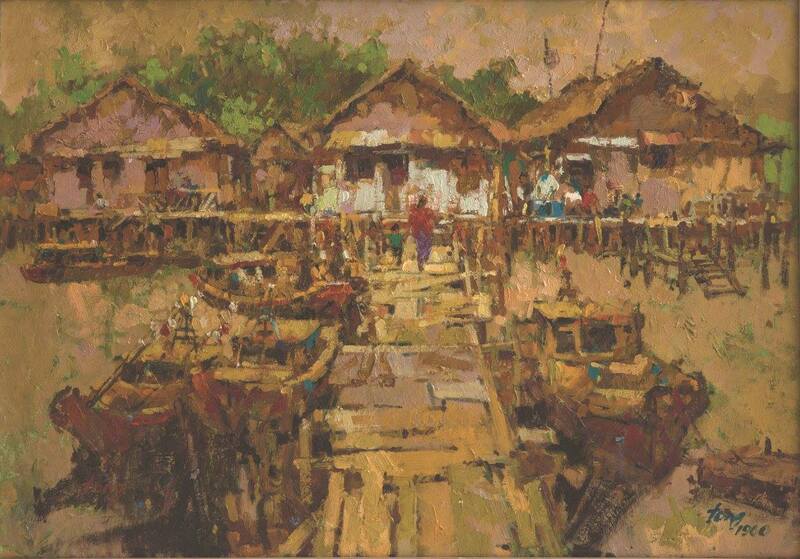 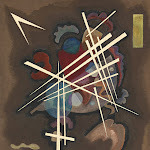 All images captured by him never fail to present new excitement to viewers and art lovers. 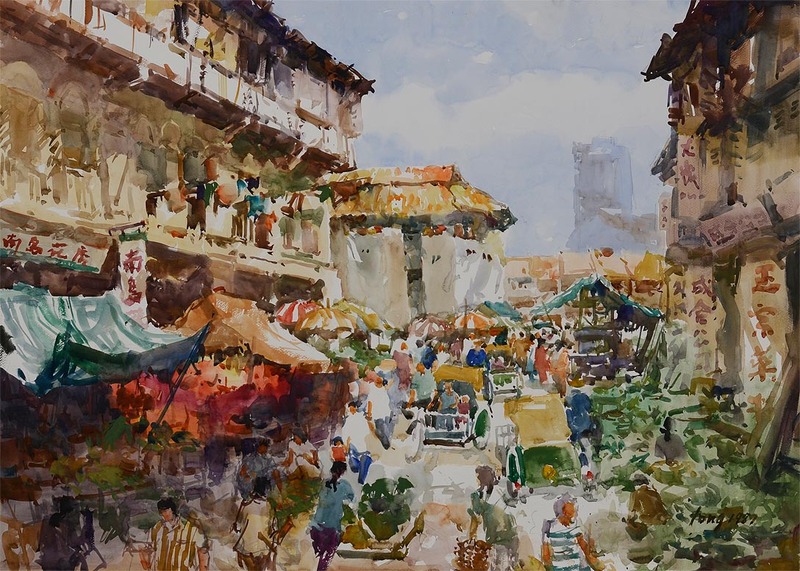 His watercolors and oil paintings naturally blend in the beauty of Chinese calligraphy. 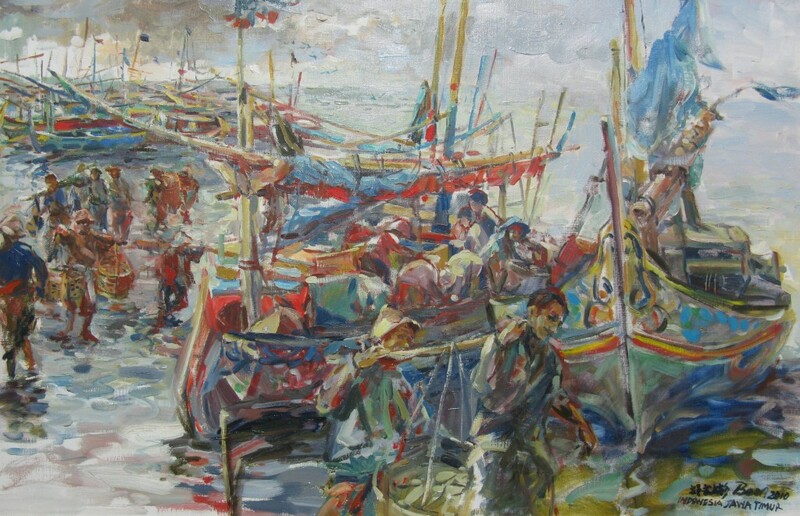 Viewers are easily moved by the flow of lines and the dynamics of mark making. 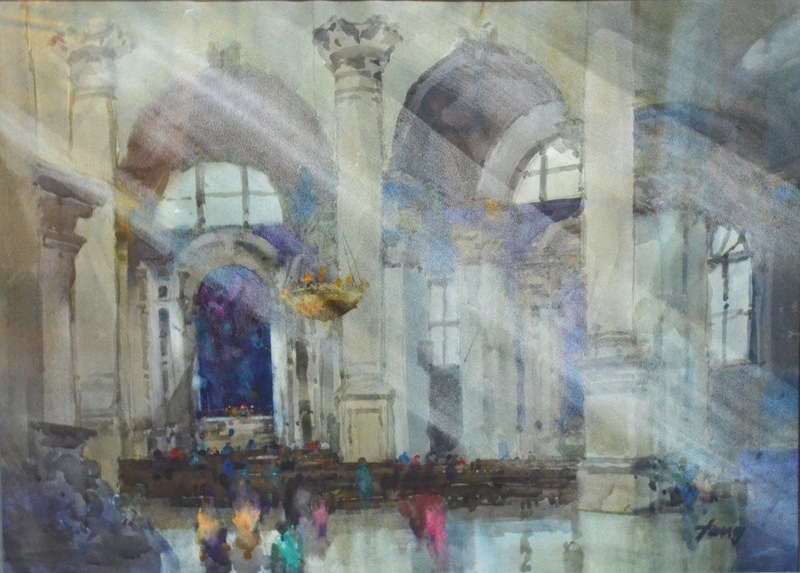 His strength in sketching and drawing allows him to compose and work directly through sketch reference made during his trips. 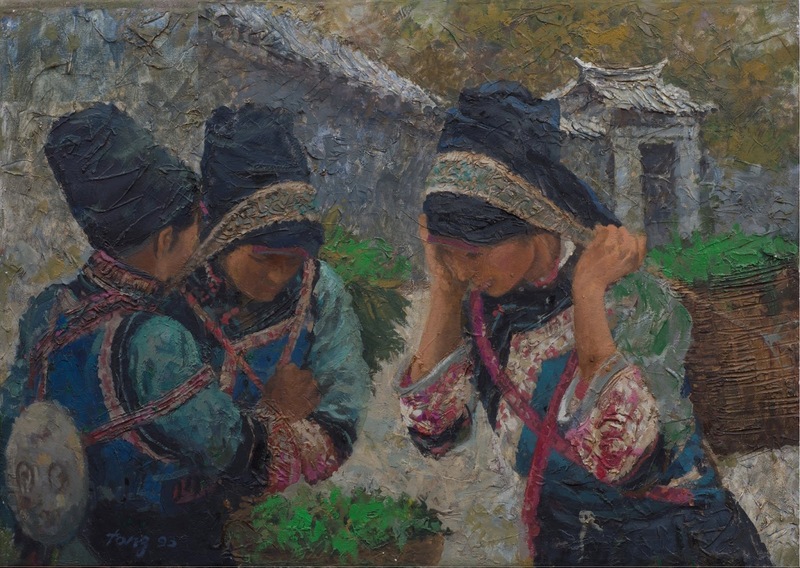 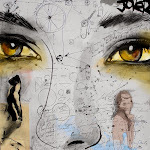 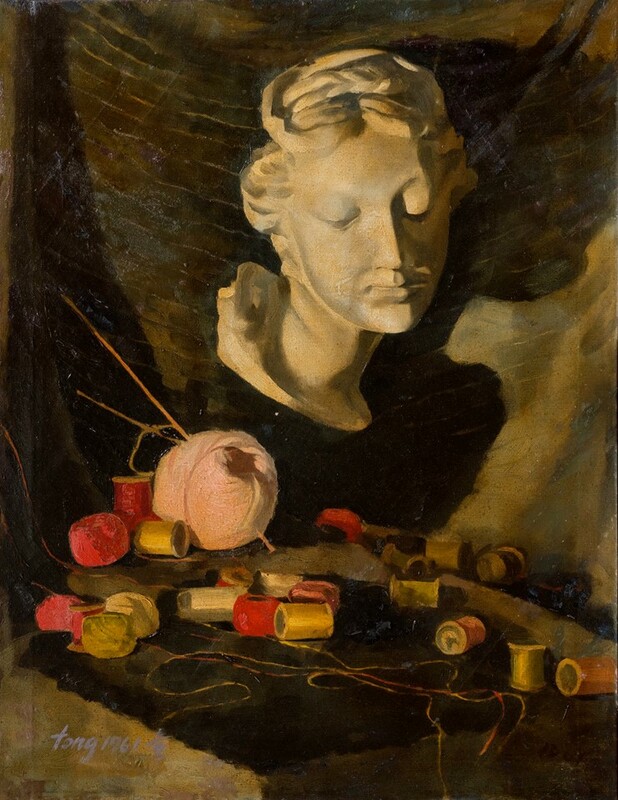 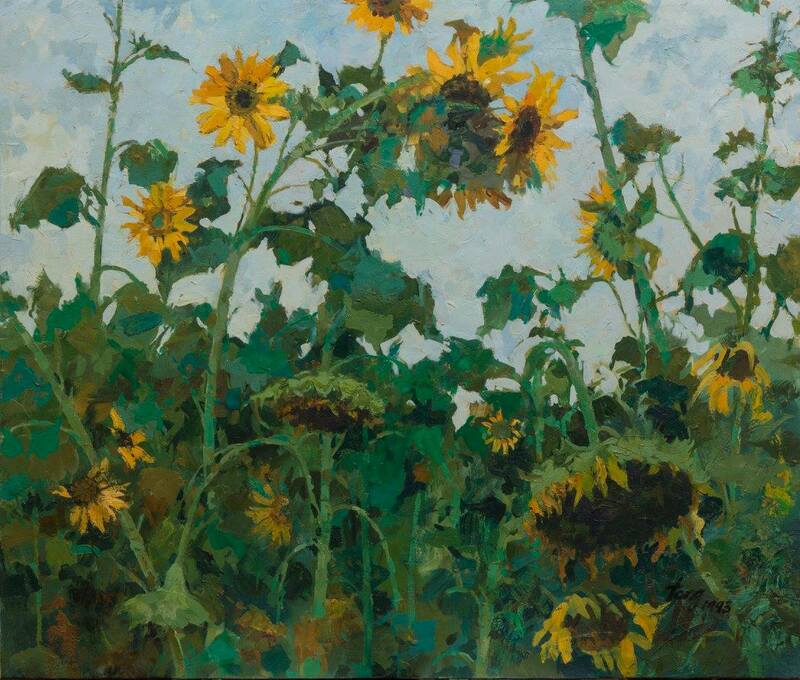 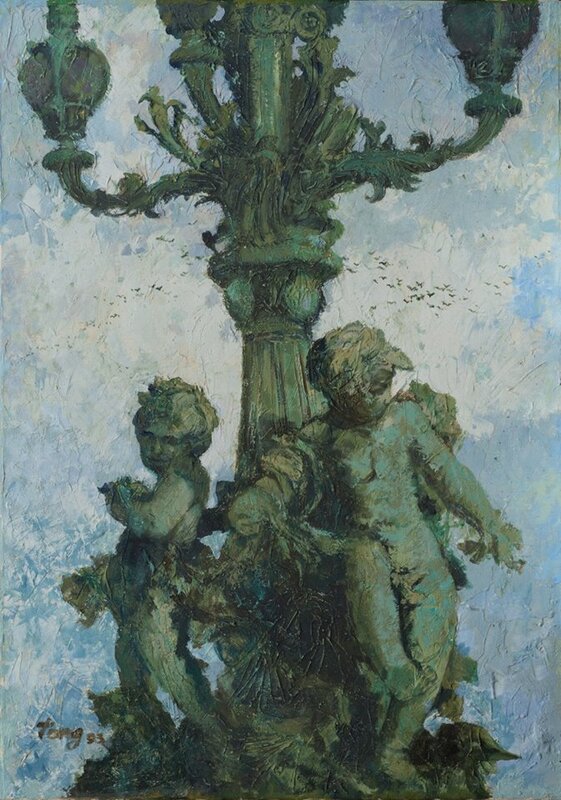 This truly expands his scopes in composing and designing picture surface, differentiating him from many painters who work directly from photographic references. 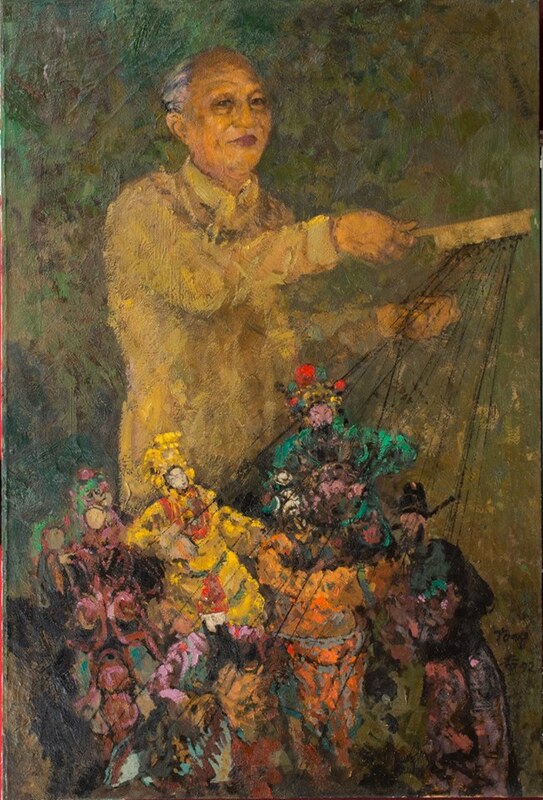 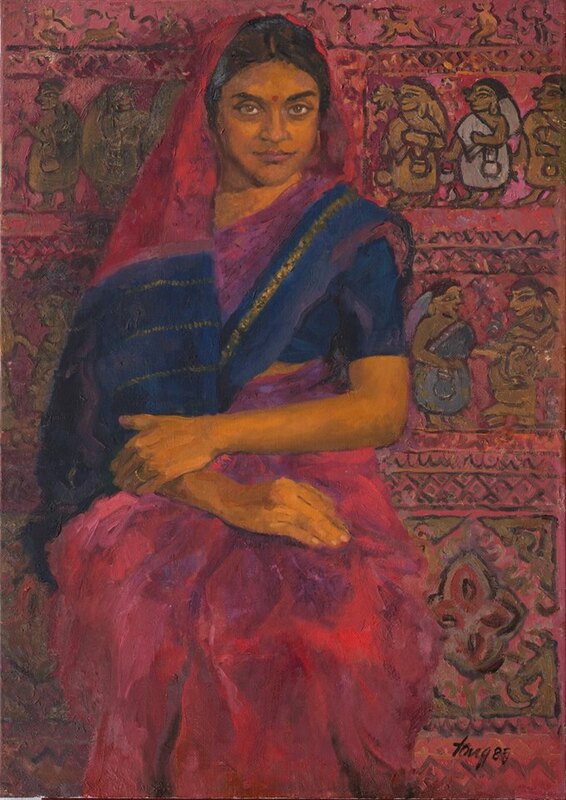 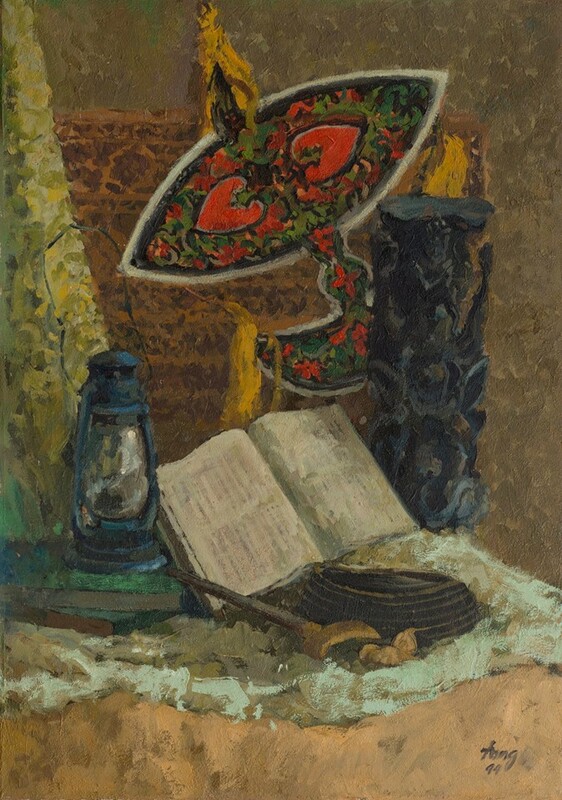 His choice of colors is a balanced mixture of personality and visual memory. 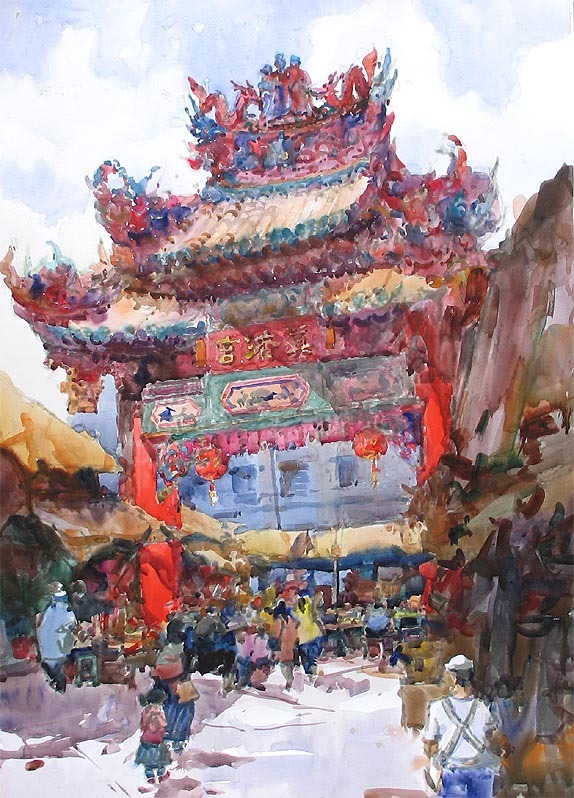 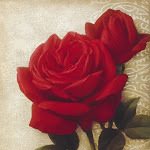 Tong works on all media including chinese painting, calligraphy, watercolor, oil and acrylic. 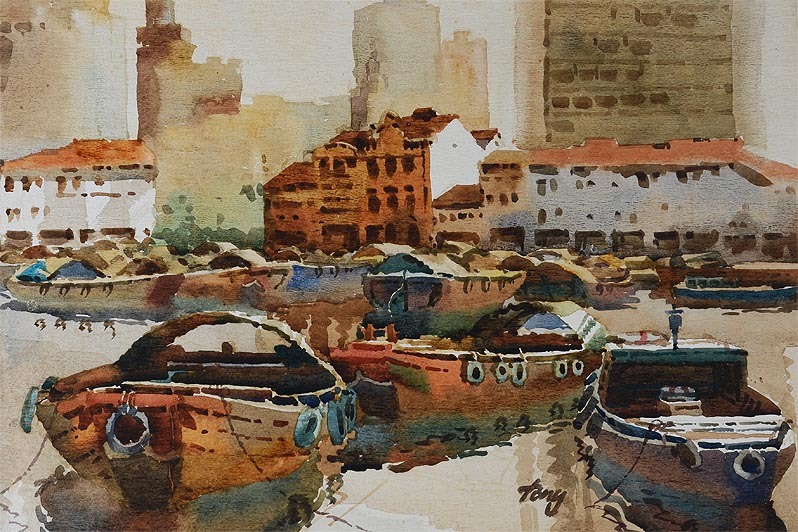 With his variety of styles, Tong is the most sought after art instructor in Singapore. 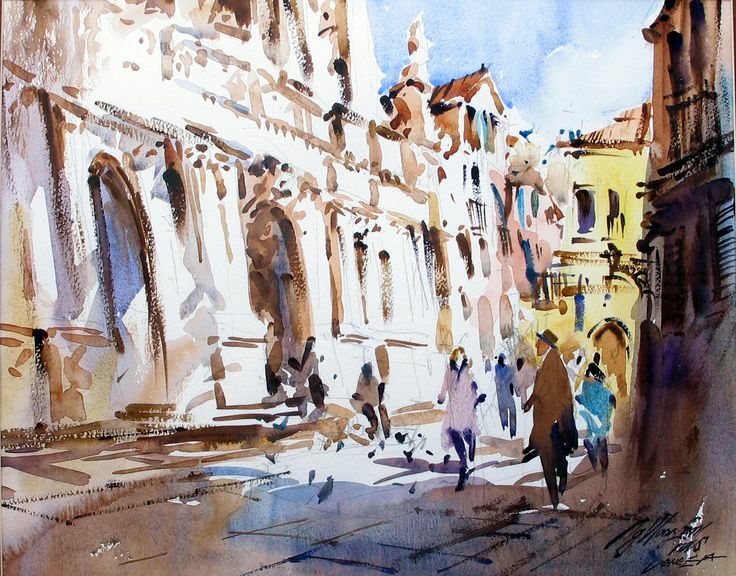 His students range from beginner painters to artists. 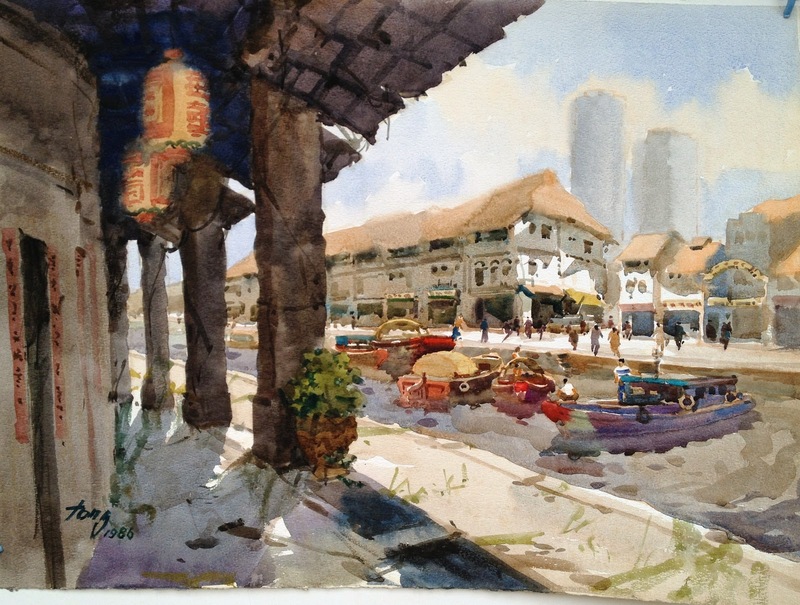 He has conducted numerous talks and workshops including a watercolor appreciation lecture and demonstration at the Singapore Art Museum.